October is Breast Cancer Awareness Month. It is an annual international health campaign organized to increase awareness of the disease and to raise funds for research into its cause, prevention, diagnosis, treatment and cure. 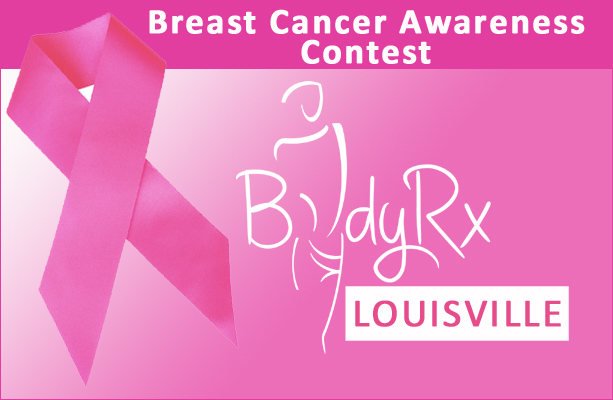 BodyRX is inviting you to register a breast cancer survivor or someone currently fighting to be entered in a drawing for a “Pamper Me Package“. This package includes a signature BodyRx facial. And since you are the thoughtful friend for entering your survivor/fighter we would like to treat you to a “Pamper Me Package” as well! Hurry to submit your entry! The drawing will be held on October 31st and we will notify the winners on this day. What source referred you to BodyRX? Not all days and times will be available but every attempt will be made to set your appointment on the preferred date at the preferred time. All appointments will be verified by e-mail or telephone.